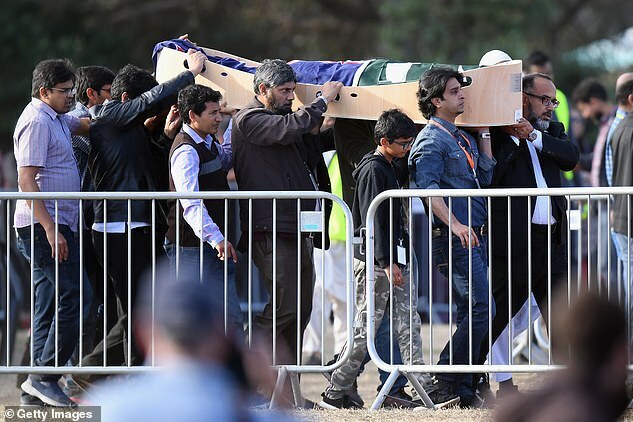 Up to 40,000 people have gathered at a Christchurch park for a vigil honouring the 50 victims of the mosque terror attack. 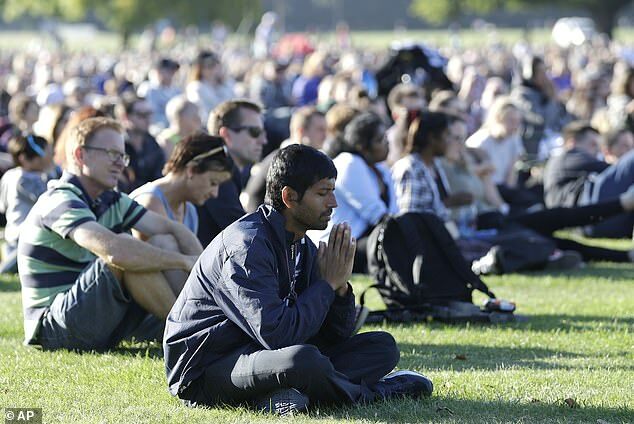 The vigil, held in North Hagley Park, began at 5pm local time with prayers led by Muslim and Christian leaders, followed by performances from opera singers and a kapa haka group. On March 15, accused Australian terrorist Brenton Tarrant allegedly entered the Masjid al Noor and Linwood Masjid mosques and gunned down 50 Muslims. Another 50 people were injured. The 28-year-old allegedly live-streamed the terror attack on Facebook. Tarrant has been charged with one count of murder and is being held in New Zealand’s only maximum security prison. 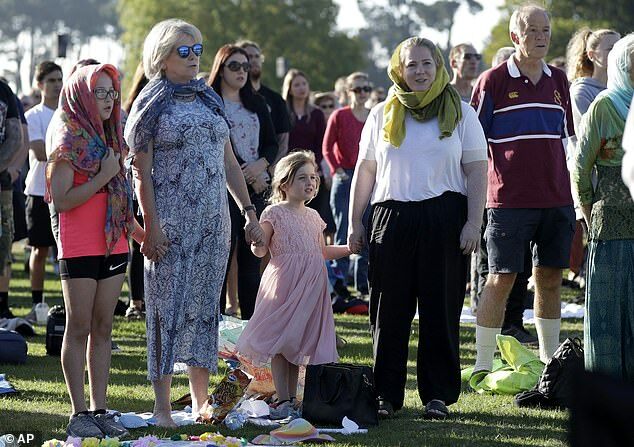 The organiser of the vigil, Scott Esdaile, said he began planning the event the night of the Christchurch terror attack and wanted to show support for the Muslim community. 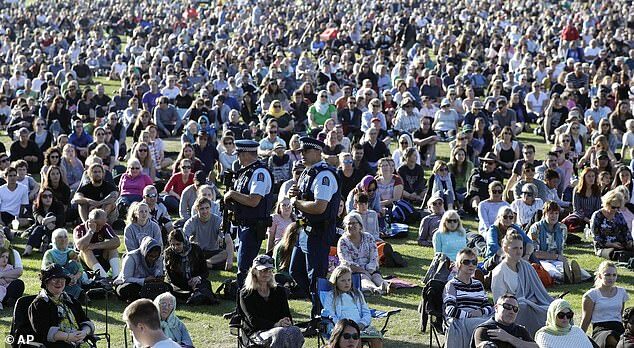 ‘We are going to have an Islamic prayer to start with and then we’ll follow that with a karakia, and then we’ll go into a song and then we’ll have a Catholic prayer after that,’ Esdaile said to the Otago Daily Times. Buses and concrete bollards have blocked off roads near the park and heavily armed police are patrolling during the vigil. 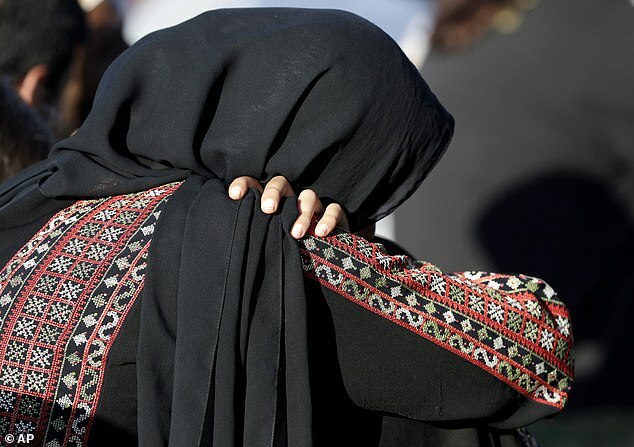 Forty-two victims have been buried since the terror attack, including a three-year-old boy. 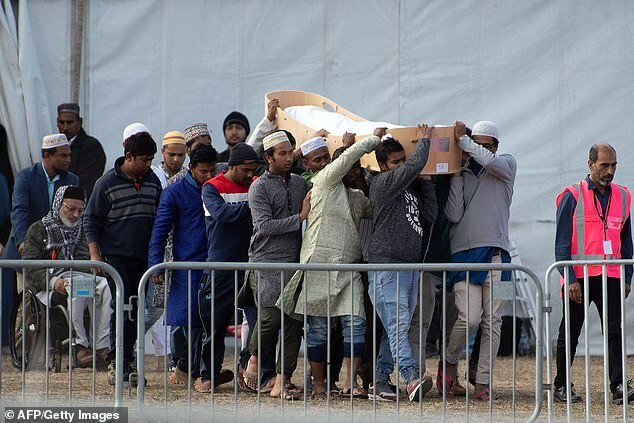 The last of the bodies were released to families on Thursday, but it hasn’t been confirmed whether the burials have ended as some victims may be repatriated to their homelands.